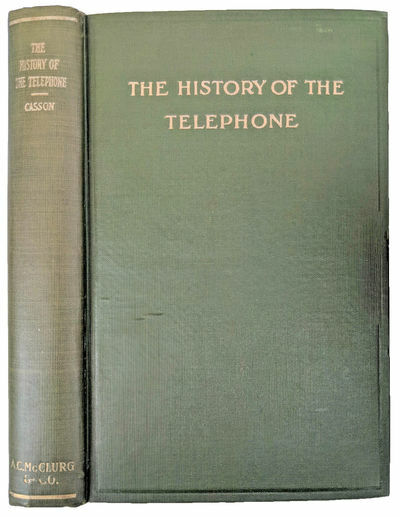 The History of the Telephone . . . Fully Illustrated. Fourth Edition. by CASSON, Herbert Newton (1869-1951). The History of Persia, from the Most Early Period to the Present Time: containing an account of the Religion, Government, Usages, and Character of the Inhabitants of that Kingdom. In two volumes. by MALCOLM, Colonel Sir John. Examen des Doctrines Medicales et des Systemes de Nosologie; Ouvrage Dans Lequel Se Trouve Fondu. [2 volumes]. by BROUSSAIS, Francois Joseph Victor (1772-1838).